Le Comité des citoyennes et citoyens Milton Parc est un organisme à but non lucratif non partisan, dont le pouvoir est tenu par les membres. Cours pour enfants, jeunes et adultes. Le quartier Milton Parc est encadré par les rues Des Pins, St-Laurent, Sherbrooke et Université. The Milton Parc Citizens’ Committee is a membership-based, not-for-profit and non-partisan organization. The ecology of the neighborhood and city. Public transportation and reduction of the impact of the automobile. Neighborhood economic development: – job creation – support for local enterprises, appropriate technologies, etc. Educational opportunities for children, youths and adults. 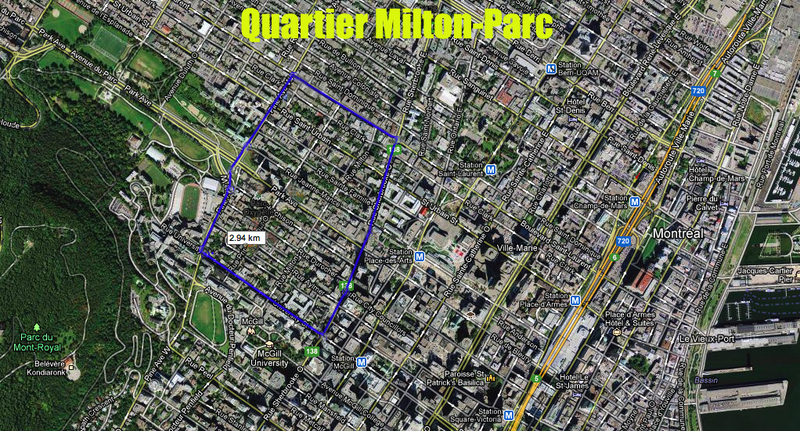 The Milton Park area is inside the perimeter formed by Pine st., St-Laurent st., Sherbrooke st. and University st.